There are 45 problems in the AP Calculus BC Exam multiple choice section. 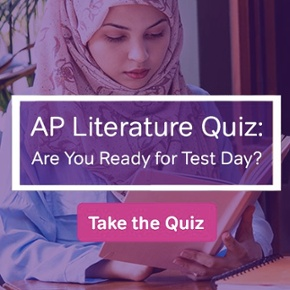 Let’s take a look at the kinds of questions you might see on the test. Below, you can find some information about the format of the test and then a sampling of practice problems with solutions provided at the end. The Calculus AB and Calculus BC exams both have the same format. Part A — 30 questions — 60 minutes — No calculator. Part B — 15 questions — 45 minutes — Graphing calculator required. Part A — 2 questions — 30 minutes — Graphing calculator required. Part B — 4 questions — 60 minutes — No calculator. Go find a nice quiet distraction-free location to work on these problems. In fact, you should treat this practice set like the real deal. 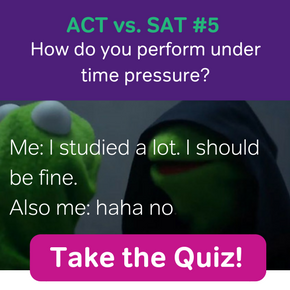 Even though there are not 45 questions in this practice, there are enough to get the idea of what could show up on the exam. The suggested time limits are scaled down appropriately. First see what you can get through in the time allotted. Then after time runs out, you can always go back and complete the rest. Remember, on the AP calculus BC exam multiple choice section, you don’t have to show your work. Furthermore, there is no penalty for a wrong choice. So if you have no idea how to do a problem, try to eliminate a choice or two and then guess among the remaining answers. The graph of the function f is shown below. Which of the following series converges? Short explanations are given below for each AP calculus BC exam multiple choice problem. First, find the derivative of each component. Then set them both equal to zero and solve. The only t-value that makes both components equal to 0 is t = 3. Re-express the sum as a geometric series. Then, because the common ratio has absolute value less than 1, the series converges and you may use the sum of a geometric series formula. Use the antiderivative formula involving arctan. And don’t forget about the infinite limit. Comparing the arc-length formula to the given integral, it must be the case that [f ‘(x)]2 = 64x2. This implies that f ‘(x) = ±8x. Therefore, f(x) = ±4x2 + C.
f(x) = 4x2 + 6. According to the graph, f(4) = 3, so the final answer is 3(4) = 12. A quick sketch of the graph indicates that the region is between -π/4 and π/4. So the series will converge if |x|/4 < 1, or |x| < 4. Since the series diverges at both x = 4 and x = -4, the interval of convergence is -4 < x < 4. Series I is a p-series with p = 3/4. Since 3/4 < 1, this series diverges. Series II is also a p-series, but with p = 4/3 > 1. Thus, series II converges. Series III is alternating and since 1/√n → 0 as n → ∞, series III converges. The coefficient of x6 is 1/(3!) = 1/6. We can use a definite integral to find the total cost over a period of time. However, the integral would be too difficult to work out by hand, so use your calculator’s numerical integration function. The table below records the steps of Euler’s Method. Integrate acceleration twice to find the position function. After each integration, use the initial data to solve for the constant of integration. Since the given initial velocity is 12, we find C = 18.
x(t) = -3 sin 2t + 2 cos 2t + 18t + 6. Plugging in t = 2, using a calculator, we find x(2) = 42.96 seconds. A graph of the two curves helps to locate the bounds of integration. The left bound is 0, but the right bound is the x-coordinate of the point of intersection of the two curves. You your calculator to numerically approximate this point, which is roughly 0.4336. Then set up the volume integral using the washer method. Finally, find the volume using the numerical integration function on your calculator. 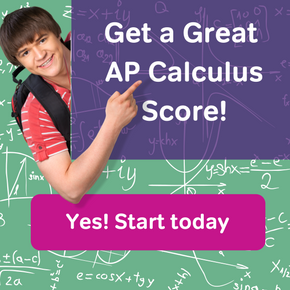 Now that you’ve gotten some practice with multiple choice questions, check out these AP Calculus BC Exam Free Response Practice Problems. Practice makes perfect!